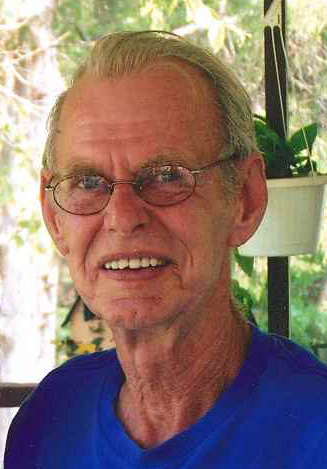 Remembering James P. McAnally, Sr. | Remembering James P. McAnally, Sr. | De Soto Obituary Search | Dietrich-Mothershead Funeral Home, Inc. Remembering James P. McAnally, Sr. | De Soto Obituary Search | Dietrich-Mothershead Funeral Home, Inc.
Obituaries » James P. McAnally, Sr. 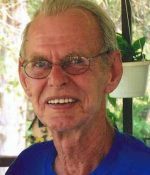 Subscribe to updates for James McAnally, Sr.
James P. McAnally, Sr. was born July 12, 1941 in De Soto, MO. He was the son of the late Ferman and Ova (nee Rider) McAnally. He died on November 18, 2018 at his residence in De Soto, MO at the age of 77. He is survived by his children, Mark (Dena) McAnally, Tampa, FL; Steve (Tina) McAnally, De Soto, MO; Charlie (Angie) McAnally, Bowling Green, OH; Jimmy McAnally, Jr., House Springs, MO; Linda (Gary Davis) Hocker, De Soto, MO; Cheryl (Avery, Jr.) Wicker, Cadet, MO; and Mike (Corie) Owens, Cadet, MO; one sister: Delores Hamel, De Soto, MO; one brother: Leroy McAnally, Festus, MO; twelve grandchildren: Mariah, Hayden, Christina, Jake, Jessica, Brad, Kent, Josh, Jackie, Terra, Amanda, and Nick; and thirty great-grandchildren. He is preceded in death by his parents; his wife: June (nee Pinson) McAnally; two sisters: Valera Shepard and Grace Rousan; and three brothers: Carless Mc Anally, Bob McAnally, and Leon McAnally. James was retired from the Chrysler Assembly Plant in Fenton and a member of UAW #110.